Our target audience is: Emergency managers, planners, risk assessors, asset and utility managers, natural hazards researchers and scientists. 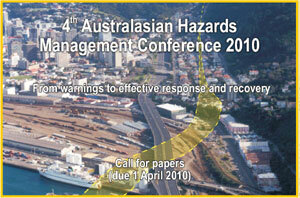 The 4th Australasian Hazards Management Conference was held in Wellington, New Zealand in August 2010. For workshops on 10th August, contact workshop conveners or speakers to obtain talks. 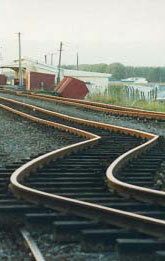 9.30am Wellington – Whose Fault? 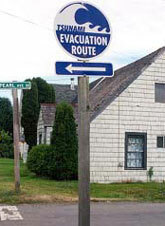 11.40am What are the barriers to community involvement in mitigation? 2.30pm The Turkish Catastrophe Insurance Pool – 10th year. For other workshops on 13th August, contact workshop conveners or speakers to obtain talks.